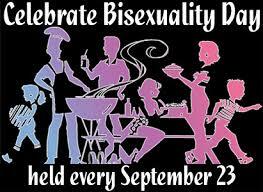 September 23 has been celebrated around the world as Bi Visibility Day or International Celebrate Bisexuality Day since 1999. The day aims to provide a platform to the bisexual community and their supporters and to bring global attention to the social, economic and cultural prejudices and challenges faced by bisexual people. ← FOODS YOU CAN REGROW FROM KITCHEN SCRAPS…AMAZING! !